This is the latest of my coastal paintings. This is a well known profile for all who live in Arild in Sweden. The piece is 20 x 53 cm. Oil on plywood. 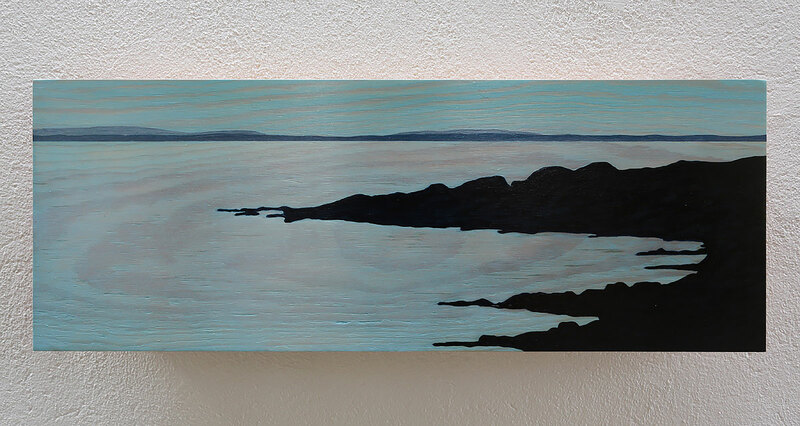 The latest completed painting is called The Last Sunset, oil and varnish on plywood, 30 x 138 cm. I have been busy with a lot of stuff – family matters and working on other pieces. 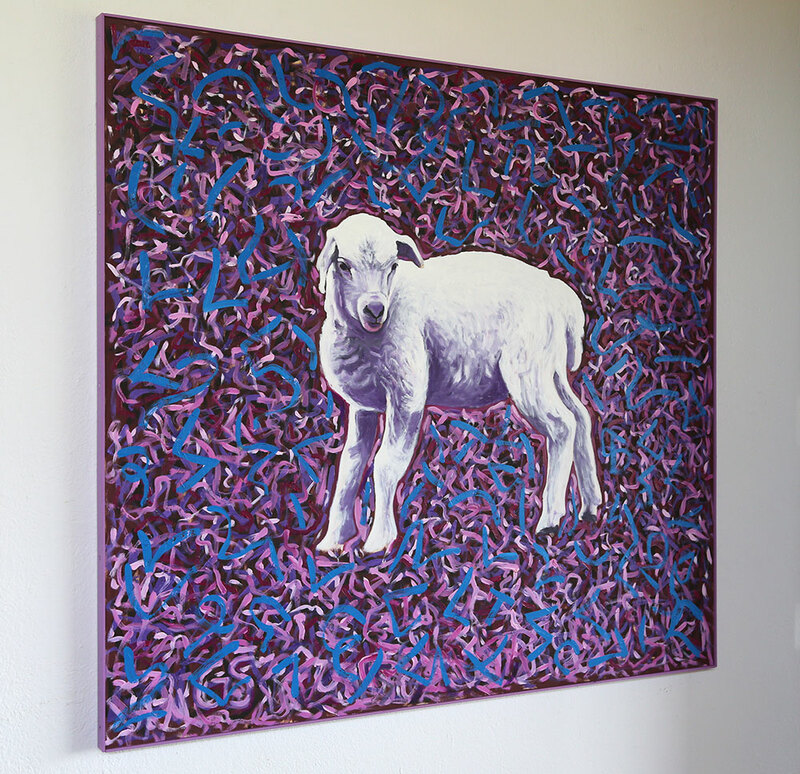 Yesterday I finally completed the elegant frame around the Lamb painting. Garry had a little lamb, oil on plywood, 111 x 120 cm.